Featured amenities include a 24-hour business center, dry cleaning/laundry services, and a 24-hour front desk. Planning an event in Monterey? This hotel has facilities measuring 420 square feet (39 square meters), including a meeting room. Self parking (subject to charges) is available onsite. 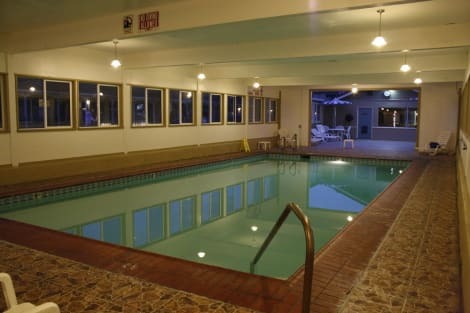 Located 10 minutes' drive from Monterey Bay Aquarium, this California motel offers convenient amenities such as a free Wi-Fi, and on-site parking. Free continental breakfast is also provided. Each comfortable guestroom offers cable TV, a small refrigerator, and a microwave. A small work desk is also available. The ensuite bathroom offers free toiletries. Room service is provided upon request. Guests can purchase tickets to the aquarium directly from the motel. A 24-hour reception is conveniently available at Bayside Inn. Del Monte Beach is 1.4 km away. 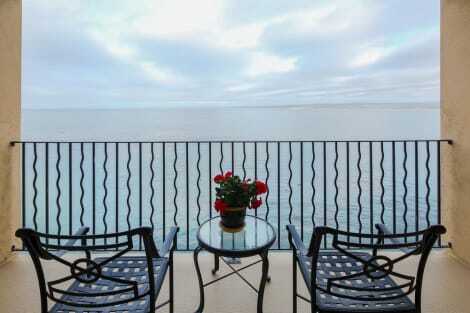 Guests can also explore historic Cannery Row, which is 10 minutes' drive away. 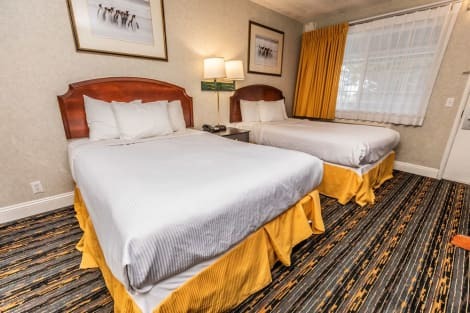 A stay at Rodeway Inn Monterey places you in the heart of Monterey, just a 5-minute walk from Monterey County Fairgrounds and within a 5-minute drive of 17-Mile Drive. This motel is 1 mi (1.6 km) from Monterey Bay and 2.8 mi (4.4 km) from Cannery Row. This comfortable hotel can be found in Monterey. The property features a total of 19 units. Customers will not be bothered during their stay, as this is not a pet-friendly property. This smoke-free motel features sailing nearby. Located in Monterey, Knights Inn Carmel Hill is in the historical district, a 3-minute drive from Del Monte Shopping Center and 6 minutes from Fisherman's Wharf. This motel is 2.4 mi (3.9 km) from Dennis the Menace Park and 2.8 mi (4.5 km) from Monterey Bay Aquarium. lastminute.com has a fantastic range of hotels in Monterey, with everything from cheap hotels to luxurious five star accommodation available. We like to live up to our last minute name so remember you can book any one of our excellent Monterey hotels up until midnight and stay the same night.